In 2018, Real Gone celebrated its ninth birthday. It’s been a long and hard road to this point, but we’re pleased to be celebrating our most successful year online to date. Hundreds of new albums have been heard and a record number of gigs have been attended. Not only has this year been our biggest success…it’s also been our favourite. Normally, each year has an album that’s a clear stand out. Making that distinction this time around has been somewhat trickier, so we’re awarding a joint “album of the year” to two very different albums. If that seems like a cop-out, we don’t care…there really was only a hair’s breadth between them. A musician, songwriter and producer, Phil Thornalley will be familiar to most for his brief stint with The Cure in 1983. His other credits include production work for Natalie Imbruglia and Bryan Adams. While not one of the music world’s most obvious faces, he’s worked within the industry since the late 70s. 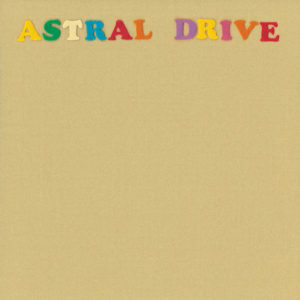 Taking the idea to create “a lost seventies classic”, his Astral Drive project is a world away from many of the musicians he’s been associated with previously. The material within is rich and densely layered; a work completely immersed in studio techniques. Its eleven songs draw influence from a lot of great long players released in the decade of brown and orange, and occasionally, influence crosses a line into…loving plagiarism, but the results are guaranteed to thrill fans of the style. 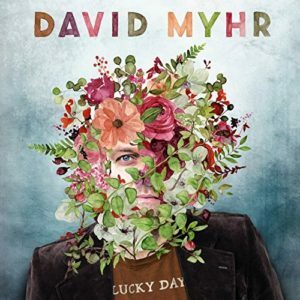 Let’s not mince words: David Myhr’s solo debut ‘Soundshine’ is a classic album. Not just for the time of its release, but a genuine classic. Its retro pop style places it on a par with 10cc’s ‘How Dare You’, with Wings’ ‘London Town’ and Badfinger’s ‘No Dice’. In terms of more contemporary recordings, it rivals the Oranjuly debut and Jellyfish’s ‘Spilt Milk’ for sheer pop wonderment. A follow up had a hard act to follow and perhaps knowing he had a big job in hand, Myhr rallied around the troops. As a result, 2018’s ‘Lucky Day’ features co-writes with Linus of Hollywood, Bleu, Bill DeMain and Young Hines – names which should be familiar to most power pop aficionados – and songwriter/producer Brad Jones, a man whose credits involve working with Matthew Sweet, Jill Sobule and Josh Rouse. It’s fair to say it’s got some solid foundations. It may have been a while since the release of the last Posies album (‘Solid States’, released on Lojinx Records in the summer of ’16), but the legendary power pop band are still on the promotion trail. Posies mainstays Jon Auer and Ken Stringfellow – along with the rest of the band – have a few Spanish live dates confirmed for May 2017.